The Clark Fork and Kootenai River Basins Council invites all basin citizens interested in water resource management to the Council’s Annual Meeting at the University of Montana, Missoula Campus. This two day meeting will include updates on progress made by the Council’s three working groups which are focused on Data, Communications, and Natural Systems Health & Water Availability. There will also be a combination of panels and presentations on water quantity and quality planning, aquatic invasive species management, the Milltown water right and CSKT Compact, and groundwater studies in the basin. The meeting will conclude with adoption of a work plan and election of Executive Committee members for the coming year. The Clark Fork and Kootenai River Basins Council is a broad stakeholder group whose purpose is to develop a basin vision, coordinate common strategy, and support the network of water user interests at the basin scale. Citizens are encouraged to attend and share their water-related interests and information with the Council. Tabling is available for free at the conference but requires reservation. Please contact kierra@mtwatersheds.org with interest or questions. Walking: If you’re staying overnight at the Holiday Inn, Double Tree, or Comfort Inn, it’s an easy and quick walk to campus. You can cross on pedestrian/bike bridges (under the Madison Street Bridge or on the Riverfront Trail Bridge). Parking: There will be complimentary daily parking passes available at the registration area located in the University Center, Third Floor Grand Foyer. 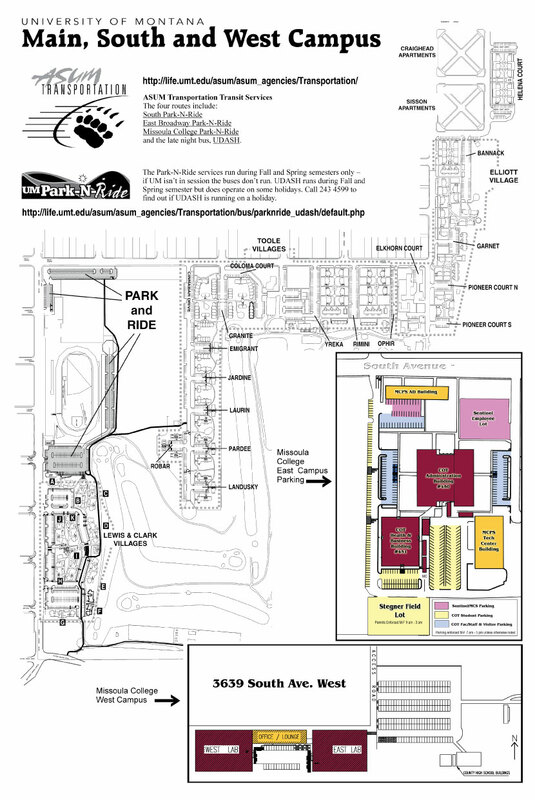 You may park in any lot labeled A & C or Green areas shown on the Parking Map Main Campus. Ticketing will start after 9am so come acquire a pass and return it to your vehicle before then.